If you want to save hours of time and need to convert Quark to InDesign, here is how it's done. Many's the time that we've been asked by our clients to convert lengthy and complex documents into InDesign files, and below is a case study of such a project. There are two ways in which this conversion can be done. 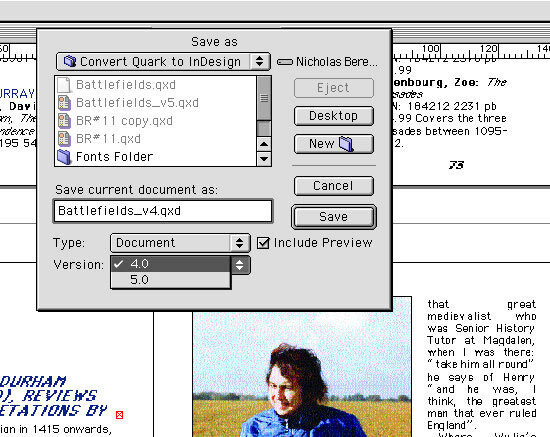 If you do have legacy versions of Quark, this page demonstrates how to back-save the file to Quark 4 and then open it in InDesign. 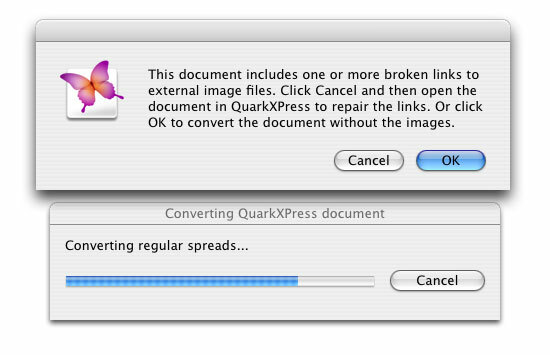 If you have to convert a Quark version 4 file, you don't need Quark at all - you only need a copy of InDesign (in this case I used InDesign CS2). Just open the Quark file in InDesign and you're away. It will natively convert version 4 files. If you don't have (or can't run) Quark XPress 5 (and the Quark file you need to convert is version 5 or later), the best solution is for you to invest in an InDesign conversion plugin. The one I've had (positive) experience with is Markzware Q2ID, a conversion tool which checks some of the boxes missed by the native QuarkXPress to InDesign conversion - although even Markzware point out that no conversion is perfect... you'll always need to check and tweak your work. However, you'll be doing a lot less work than if you had to start from scratch. Q2ID will convert versions 3.3, 4, 5, 6, 7, 8, 9 and 10 of Quark to InDesign CS4 (Windows only), CS5, CS5.5, CS6 and CC in the same way that the native InDesign plugin converts version 4. Just select FILE/OPEN. There were loads of Quark stylesheets embedded, master page items and all sorts of other elements that would have taken ages to recreate, including plenty of images to re-import and so on. The file was a Quark 6 document, so we first needed to back-save it to version 5. First, make sure that all the necessary fonts are present. This is good practice so that you can see how well or badly the conversion has gone. Also, make sure all images are correctly linked, present and correct. Once everything is hunky dory, select FILE/SAVE AS... and select version 5.0 from the Save Dialogue Box. Give the filename a v5 suffix (before the .QXD) so that you don't overwrite the original. Click SAVE. 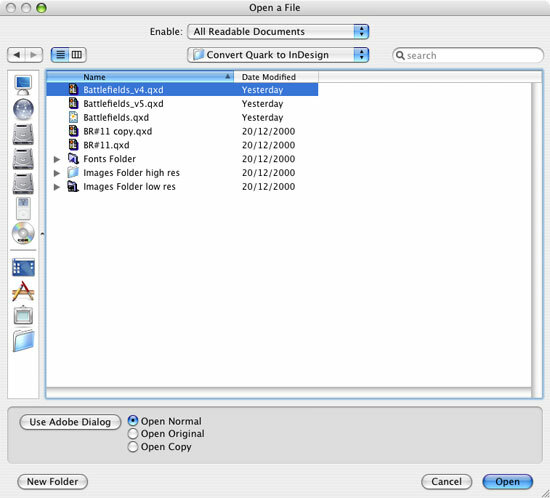 Open the newly saved file in Quark XPress 5. If you're working on a Mac this will cause the Mac Classic operating System to open. You'll probably get a missing font warning when the file opens and the text will be all over the place (see below). Don't worry about this - re-saving the file without the fonts present in Classic won't lose any of the font information. It'll still work fine when you re-open it in OSX. 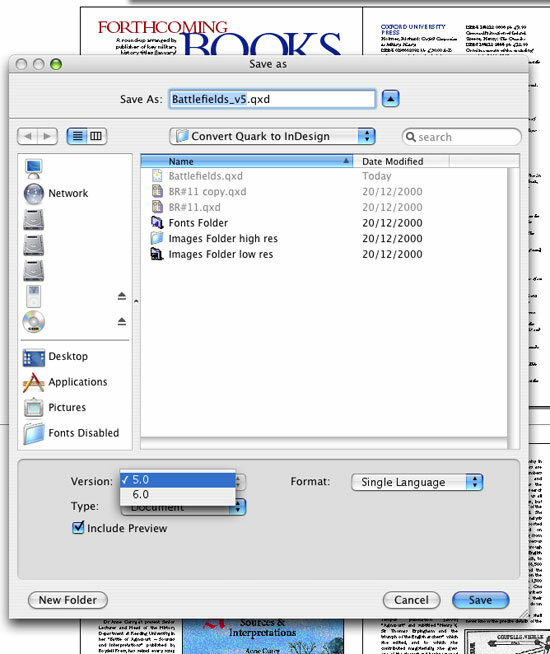 In Quark 5, select FILE/SAVE AS... and select Version 4.0 in the Save Dialogue Box. Give the file a v4 suffix. Click Save and close the file. Now we're ready to open the file in InDesign and complete the Quark InDesign conversion. 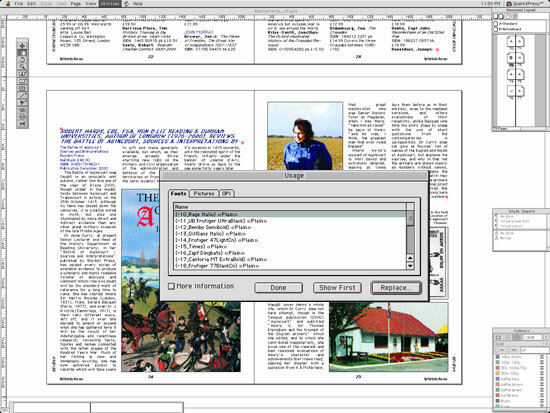 Sometimes when you convert Quark to InDesign the conversion can be rather time consuming; it's quite a complicated process going on behind the scenes. You might get the odd warning such as the one shown below - just click OK and fix the links once the file's been opened. Some common errors that are inevitably thrown up are tiny discrepancies in line heights and text wraps, as you can see below. These discrepancies can be hard to spot but can throw everything on a page out of alignment - so watch out for them. They're easily fixed, and as I said before, time spent on this stage is still a great deal less than time spent starting the document from scratch. What if InDesign crashes during the conversion process? This can be quite a common problem - and there is a way around it. The reasons for non-specific crashes when you convert Quark to InDesign are very hard to identify; so I wouldn't try. It'll just frustrate you. There are various things you can do to resolve the problem. First, try re-saving the file using Quark 4 (if you have it). Then try opening the file again. If this doesn't work there's really only one thing you can do. You'll need to create a new Quark document the same shape and size as the original and copy over each spread one-by-one to the new document. This isn't as drastic as it sounds, and it doesn't take long. Just make sure the positioning is correct - make a note of the X and Y axis values in the measurements palette when you copy the page items and make sure they are identical in the new file after pasting the contents of the spread. If you want to keep the master page items, you'll need to copy these to the new master pages, taking care that the new Quark document pages have the correct master pages assigned to them. Once this has been done (the style sheet information will be retained during the copy/paste process) save (or back-save) the document to version 4 and try opening it in InDesign. If you still have no luck and the document is large enough to encourage you to persist in converting it, try breaking it into two, saving the two halves separately, and seeing if either of them open in InDesign. If one does, you know you have started to isolate the problem and you can fragment the offending file until you identify the problem spread (which you can then recreate after converting all the others). If this doesn't work, it might be time for you to throw in the towel and either recreate the document manually, or try the Q2ID plugin. The latter will probably be the cheaper option if you work by the hour... If you'd like to see Q2ID in action, click here to view a test conversion I made using InDesign CS4 and Quark XPress 8. Anyway, assuming all is well with the converted Quark file, back to the case study. Actually, we're pretty much there. Just a few more things to check - like the bleed settings, margins and suchlike - otherwise, the job is finished. 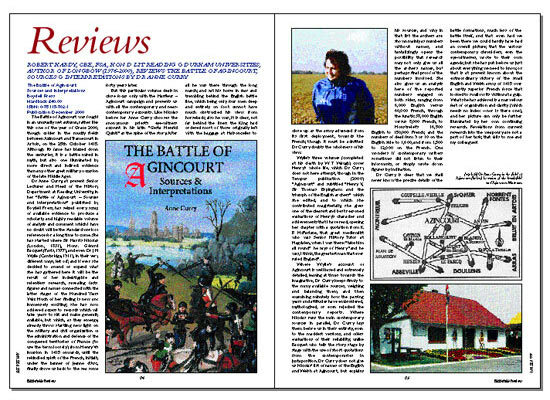 And below is a converted spread from the final file. As you can see, it's retained all the font, color, styling and guide information, so it's a very effective, if a little long winded solution. Now save your file as an .InDesign .INDD file and you're finished. If you'd like us to convert your Quark file for you by back-saving your file to Quark 4 and then importing it into InDesign, click here to get started. 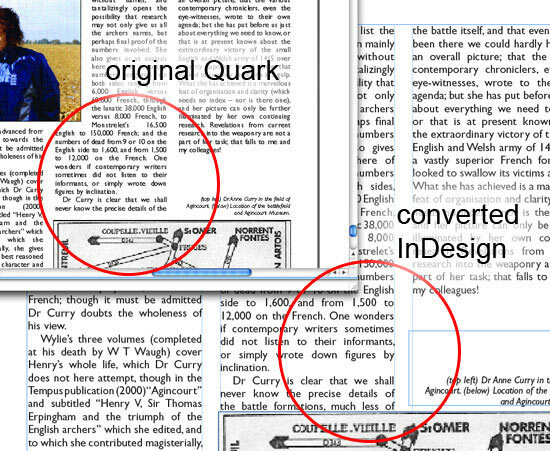 What about converting InDesign to Quark? If you need to convert InDesign to Quark, Markzware cater for this requirement as well with ID2Q. This converts InDesign CS2 to CS5 to Quark 6.1 to Quark10 (Windows and Mac). 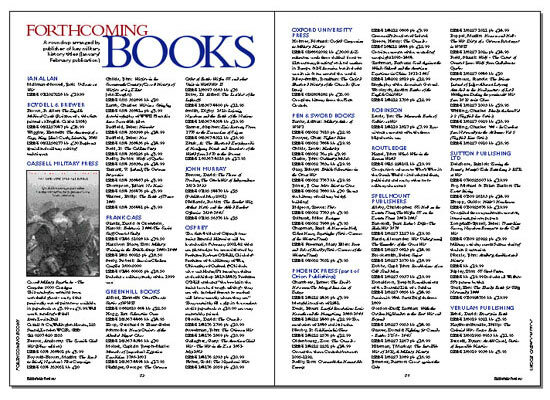 Unfortunately I have had little or no success with a shortcut for converting InDesign to Quark. 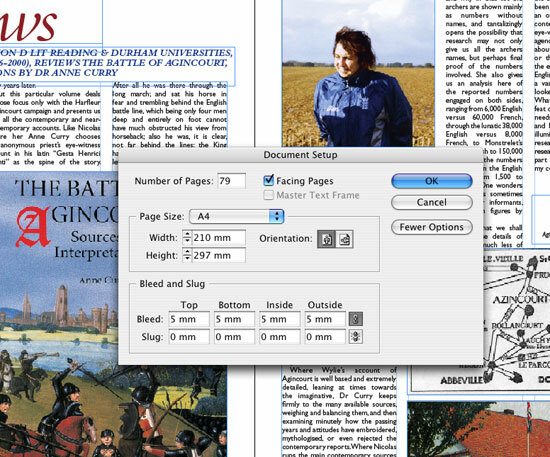 You could export the file from InDesign as a PDF, open the PDF in Acrobat and save it as a Word document (or RTF) which will retain the text styling - this might save some time, but you still need to recreate the document from scratch. In this case I would prefer to use the ID2Q plugin and save a huge amount of time. 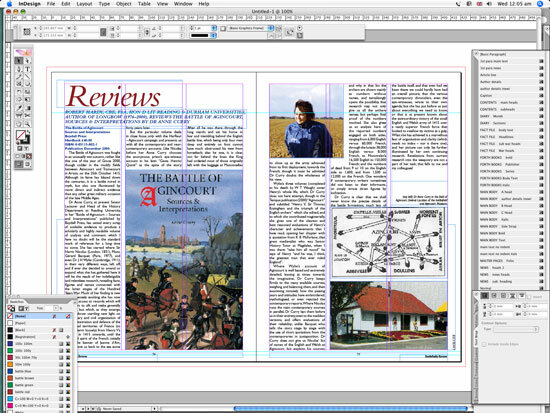 If you'd like to see ID2Q in action, click here to view a test conversion I made using Quark XPress 8 and InDesign CS4.